This month’s OTP in the Flying Unicorn November Kit of the month is fabulous. 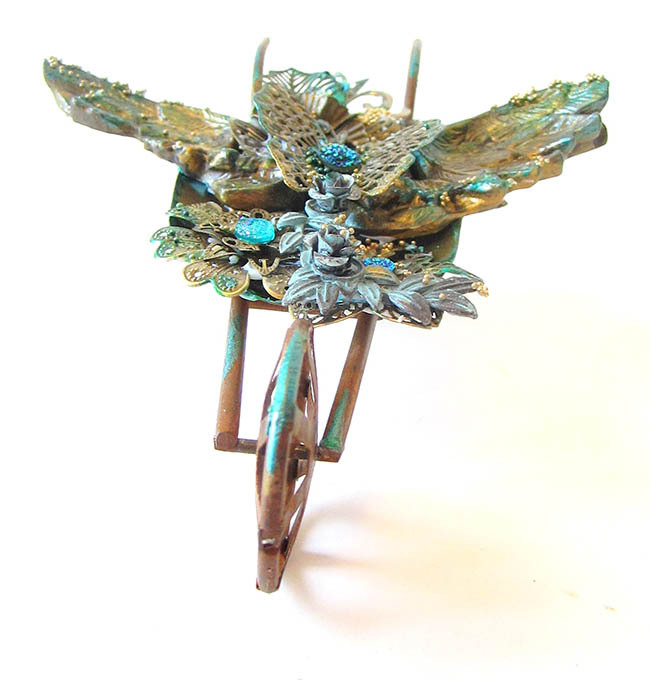 Its a little metal wheelbarrow which I altered using Prima relics and artifacts wings and lots of different metals. 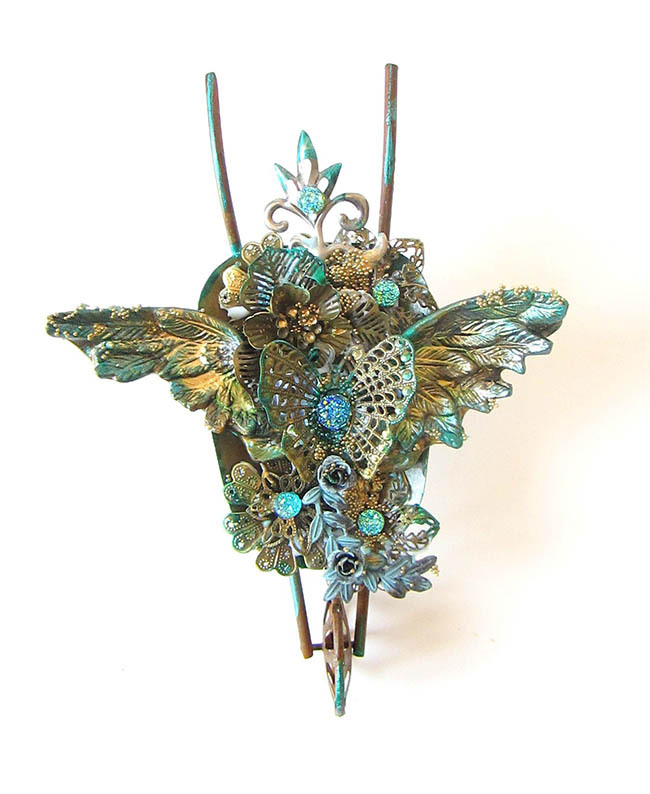 I really love how it turned out using gold and patina colours to make it steam punk. 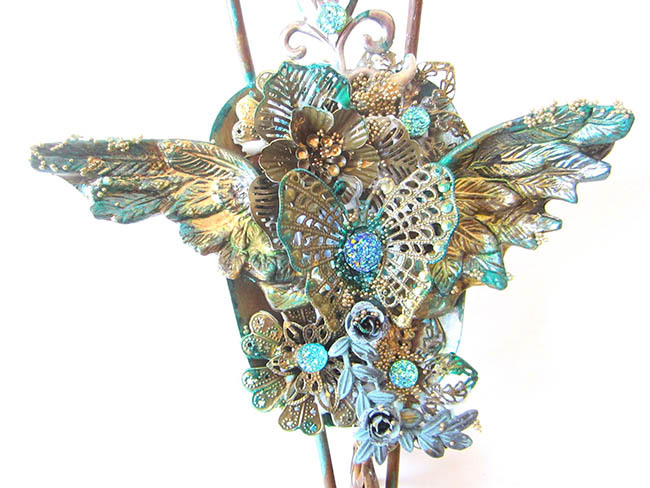 I used some 13 Arts golden micro-beads and turquoise Prima say it in crystals to add some bling to the project. 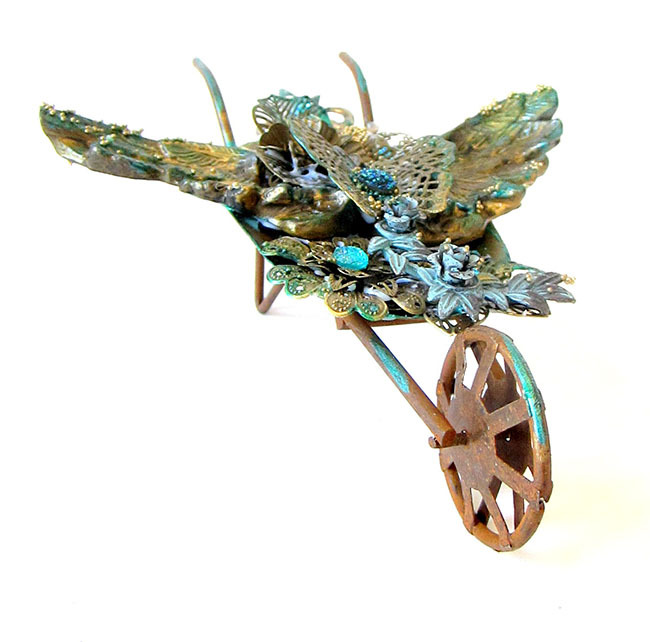 Your wheelbarrow is so adorable – I love all the elements you used – it is wonderful! Keren your wheelbarrow is awesome. I love all the layers. And the way you build up the wings is so creative. The colors you used are fabulous. It turned out to be such a pretty little decoration for your home. This is amaking! You assembled and colored the wheelbarrow beautifully! I love the patina and rust feel of it! That is one amazing looking wheel barrow! !